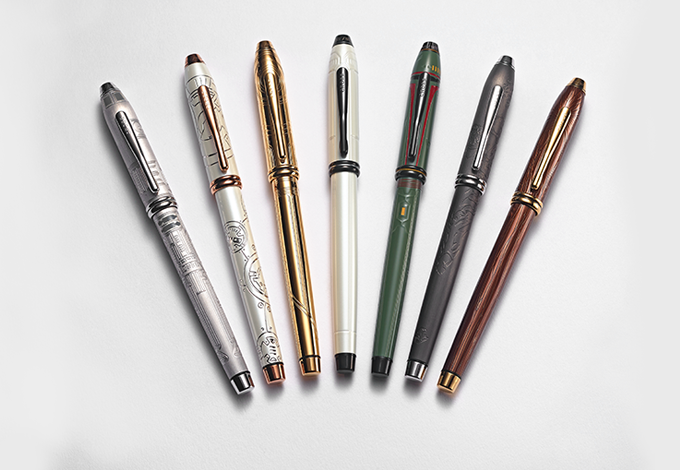 This luxury writing instrument commemorates the original 1977 film while also celebrating the newest fan-favorite, Star Wars: The Force Awakens. Taking inspiration from BB-8, it is finished in polished white lacquer with character-themed engravings and a brilliant-faceted hyacinth Swarovski® crystal embedded in its cap. 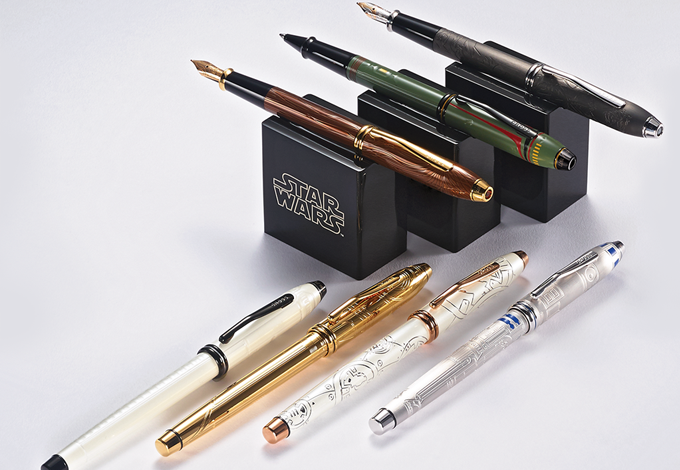 It is presented in a luxury gift box with an included Star Wars themed pen stand.